Lama Zopa Rinpoche teaching at Light of the Path retreat, August 2016. Photo by Ven. Lobsang Sherab. 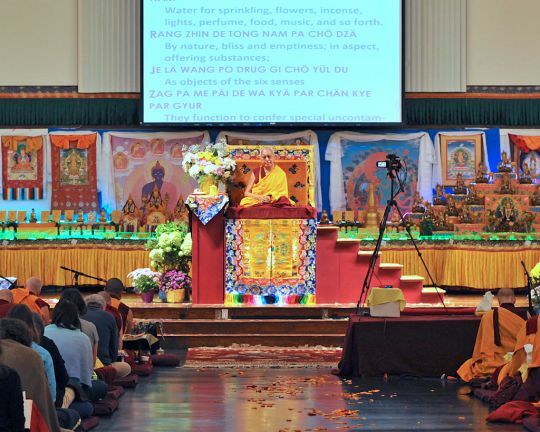 During the recent Light of the Path retreat, Lama Zopa Rinpoche dictated this advice and had it distributed to all participants. 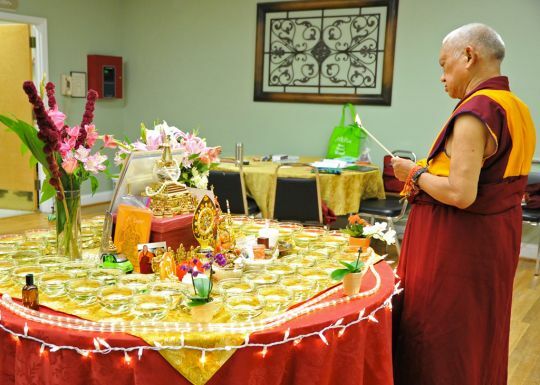 Rinpoche also wanted it shared with people offering service at FPMT centers, projects and service as well as with all beings everywhere. Lama Zopa Rinpoche during Light of the Path, Black Mountain, North Carolina, US, August 2016. Photo by Ven. Lobsang Sherab. Light of the Path retreat, Black Mountain, North Carolina, US, August 2016. Photo by Ven. Lobsang Sherab. That which benefits lower sentient beings is bodhichitta. That which benefits middling sentient beings is bodhichitta. That which benefits sublime sentient beings is bodhichitta. Isn’t bodhichitta of benefit to all? If you want to look, look with bodhichitta. If you want to eat, eat with bodhichitta. If you want to speak, speak with bodhichitta. If you want to examine, examine with bodhichitta. Scribe: Holly Ansett, 17 August 2016, Black Mountain, North Carolina, US. Edited by Nicholas Ribush.